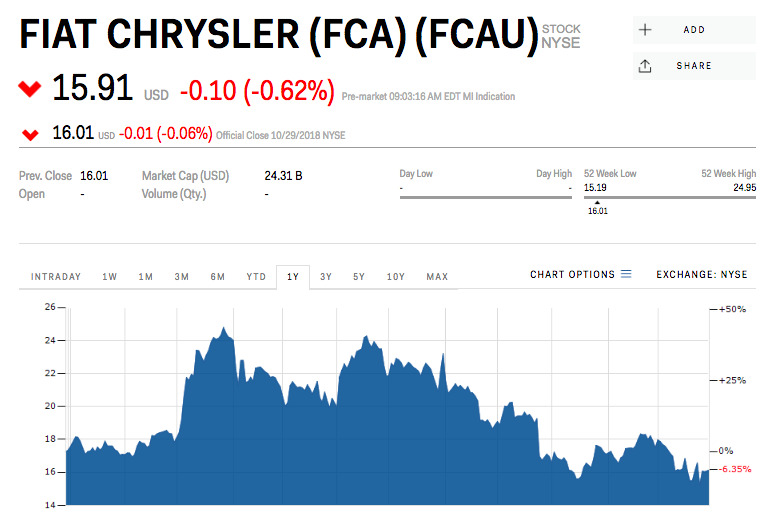 Fiat Chrysler beat earnings expectations for the third quarter. The carmaker will disperse $US2.27 billion in special dividends to shareholders following the sale of its Magneti Marelli partsmaker. The automaker reaffirmed its full-year guidance, under the watch of new CEO Mike Manley. 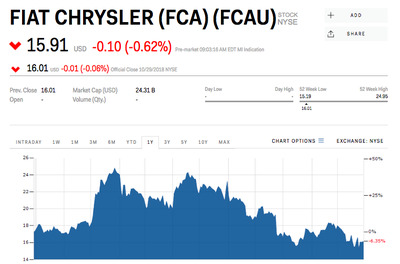 A week ago, FCA made a deal to sell its partsmaker to Japan’s Calsonic Kansei for 6.2 billion euros, Reuters reported. FCA will begin to pay a regular quarterly dividend in 2019. “The world’s seventh-largest carmaker said on Tuesday adjusted earnings before interest and tax (EBIT) for the July-September period rose 13 per cent to 1.995 billion euros, compared with 1.87 billion euros in a Reuters poll of analysts,” the news service reported. 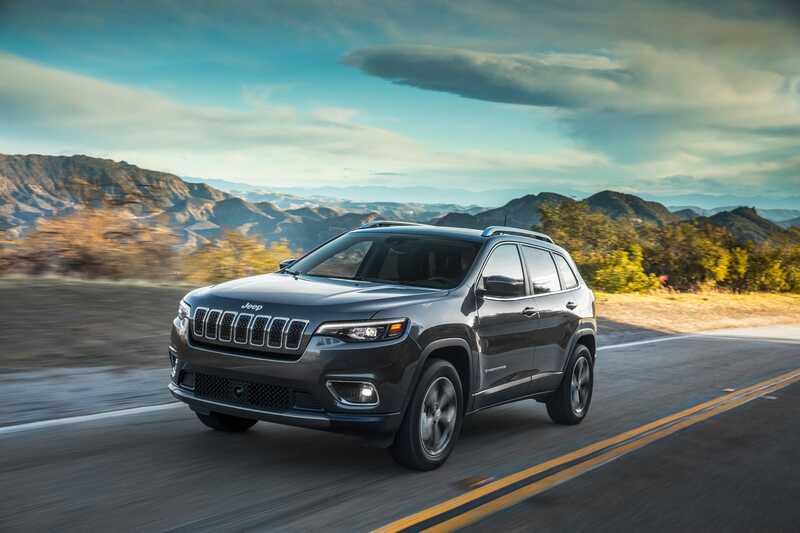 FCA maintained guidance for the remainder of 2019. The automaker is now overseen by former Jeep-head Mike Manley, who became CEO after the sudden death of Sergio Marchionne earlier this year. Shares were flat in pre-market trading Tuesday, at $US16.